Building cities in waters is a mere figment of imagination many years ago. Today, what appeared to be an artistic creation of an imaginative mind, a fictional setting that only appears in novels and movies is about to touch the hard ground of reality. “If you could have a floating city, it would essentially be a start-up country,” Joe Quirk, President of Seasteading Institute told the Daily Mail about the new plan to build the first ever floating city in the world. 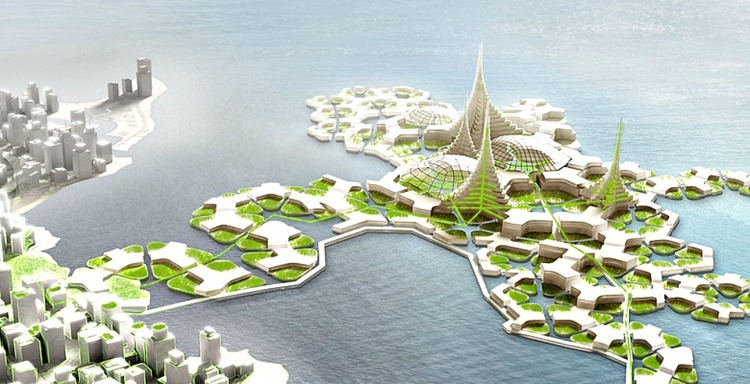 Widely regarded as an entrepreneurs dream, the first floating city will be located off-shore the French Polynesia. Seasteading Institute, the firm in-charge of this, signed a Memorandum of Understanding with French Polynesia to prove two points before the project gets the green light: that the project redounds to the benefit the local economy and it is environmentally friendly. 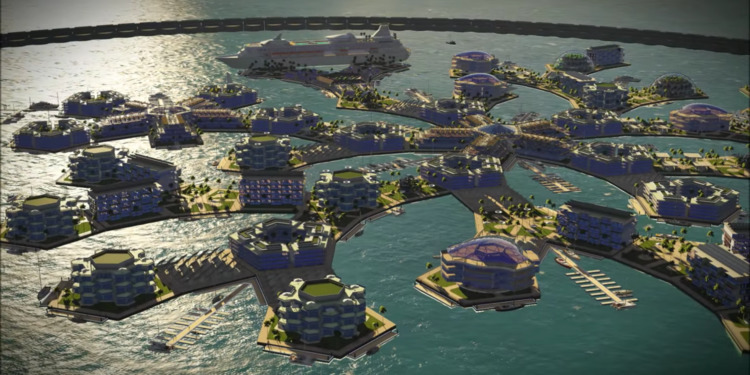 If approved by the locals of French Polynesia, and possibly by France who controls the territory, the world’s first floating city is expected to be concluded in 2020. Upon completion, around 250 to 350 people will serve its first denizens. The project which will be bankrolled by Paypal founder Peter Thiel would have a network of 11 rectangular and five-sided platforms capable of being rearranged as desired. Each platform is calculated to cost around US$ 15 million dollar each. Envisioned to see completion by 2020, this pilot project at the sea is estimated to cost around US$ 167 million dollars. Designed by DeltaSync, a Dutch sustainable engineering firm, this pioneering community at the sea will feature an aquatic assemblage of aquaculture farms, healthcare, medical research facilities and sustainable energy powerhouses. This waterworld with seascrapers will be powered by renewable energy sources. The project was without criticisms. A number of concerns ranging from physical viability, environmental issues to politico-legal concerns were raised. Skeptics argue that this ocean community will not withstand catastrophic natural disasters such as hurricanes or tsunami, that it would have negative repercussions to environment and that it would host schemes to avoid taxation, and even possibly veil illicit offenses from the prying eyes of the state. The Seasteading Institute, on the contrary, believes its floating city would serve as a freedom hub for creativity and innovation, a haven for start-up governments, an emancipation to what Quirk describes as the “monopolies” of today. Utopian or quixotic? Like the proverbial glass of water, the matter rests fundamentally on one’s personal perspectives. For pragmatic skeptics, they see only too little, a bit less to be convinced. For optimistic visionary, they see too much, a bit less to be deterred. When all is said and done, will the world ever witness the first full-fledged seavilization to float in 2020? Undeniably, we are at a fascinating juncture of our time.